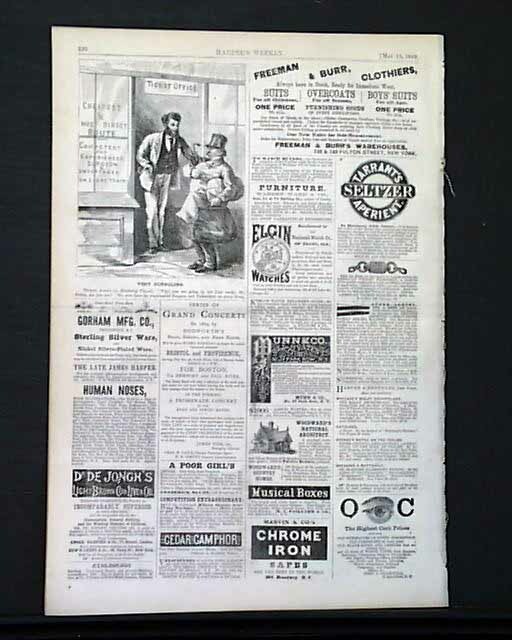 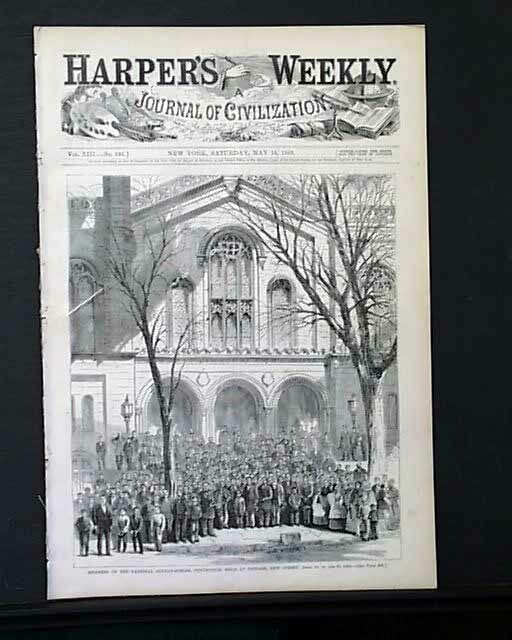 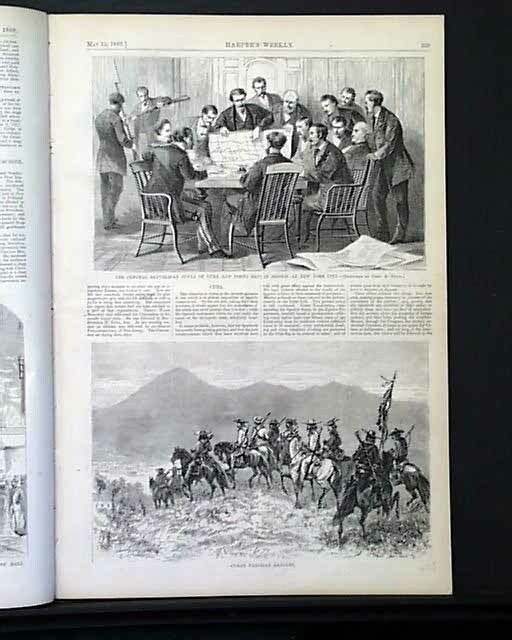 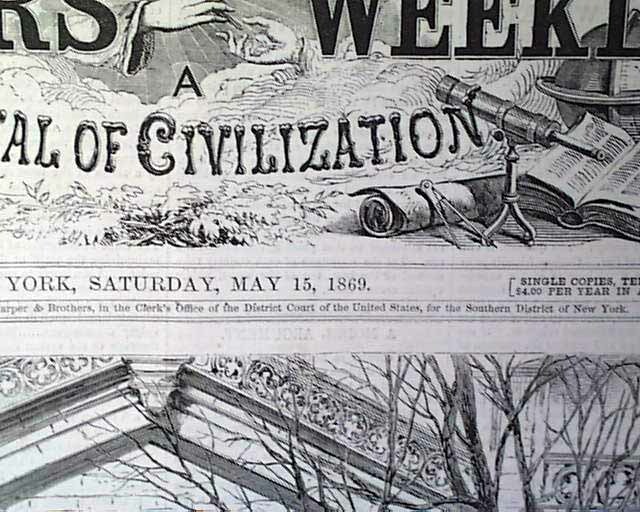 HARPER'S WEEKLY, New York, May 15, 1869 The front page of this issue features a full page illustration "Members of the National Sunday-School Convention Held at Newark, New Jersey, April 28, 29 and 30, 1869". 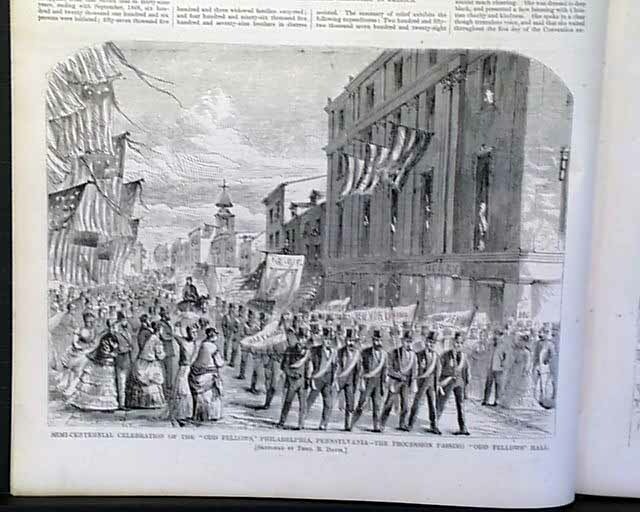 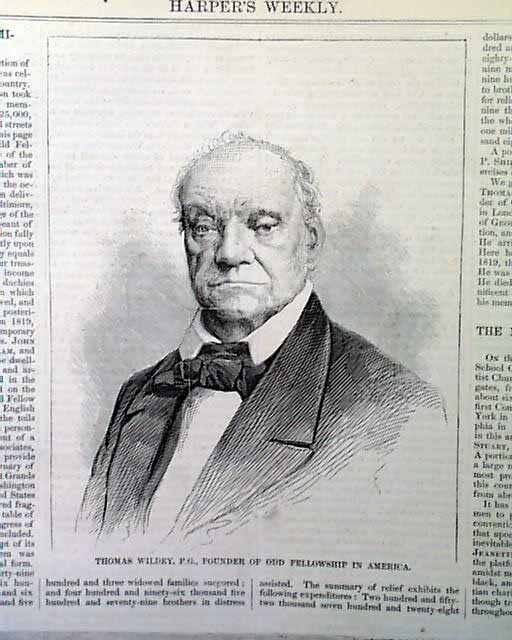 Inside is an article "The 'Odd Fellows' Semi-Centennial" which features a quarterpage illustration "Thomas Wildey, P.G., Founder of Odd Fellowship in America" and a halfpage "Semi-Centennial Celebration of the 'Odd Fellows,' Philadelphia, Pennsylvania The Procession Passing 'Odd Fellows' Hall". 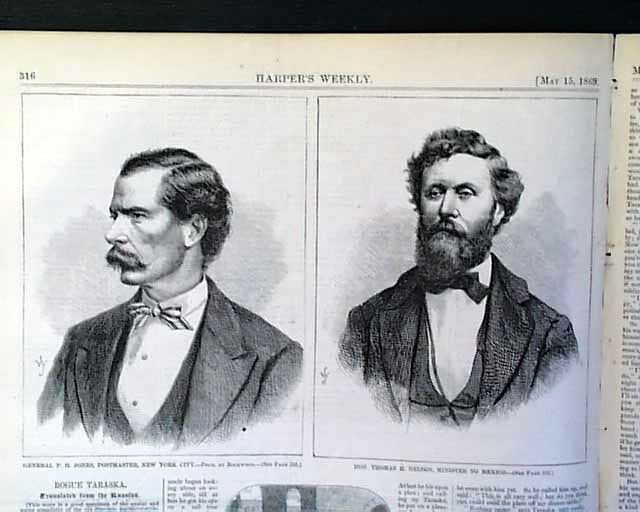 An article "Cuba" features a halfpage "Cuban Partisan Rangers" and a nearly halfpage "Central Republican Junta of Cuba and Puerto Rico". 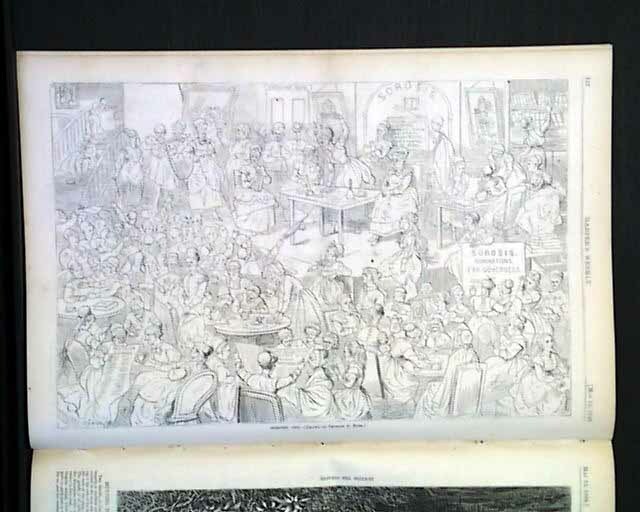 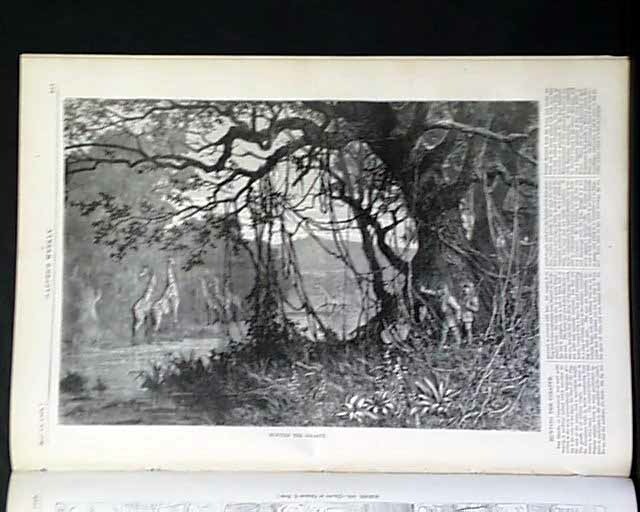 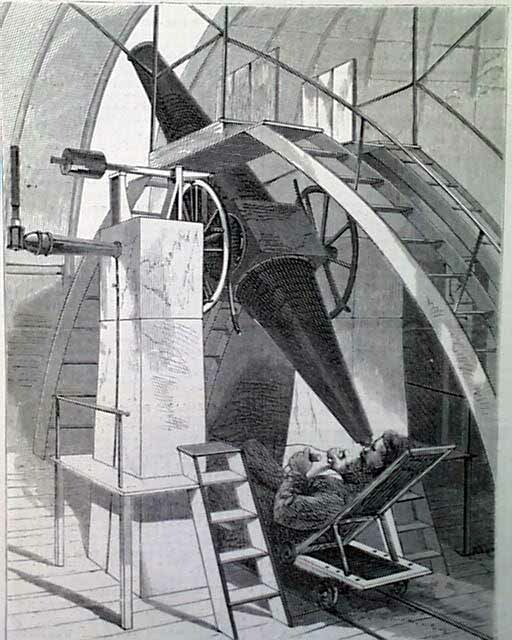 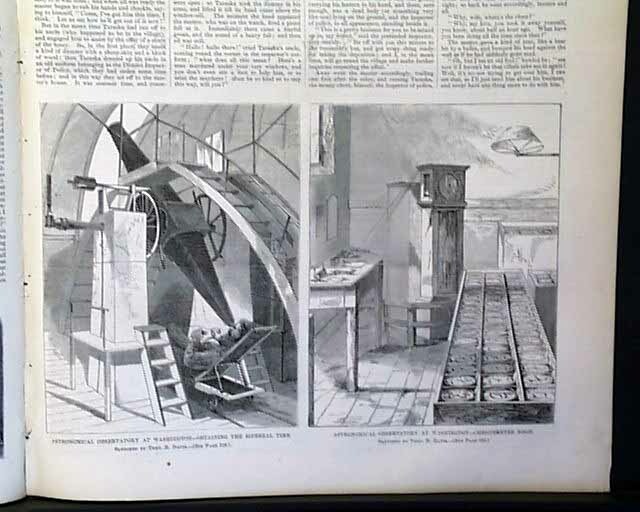 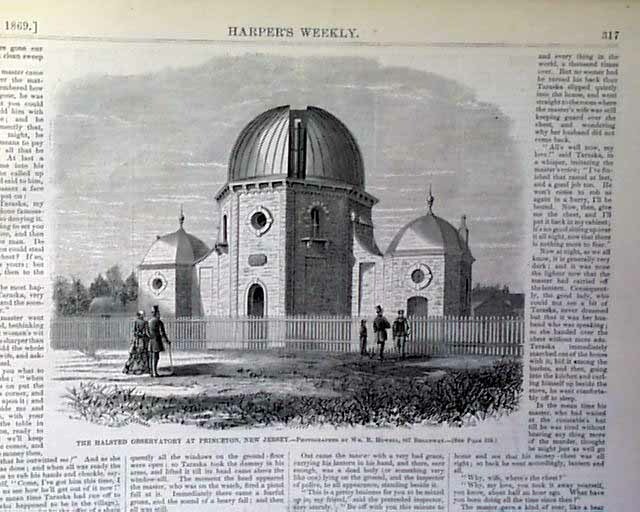 A three-quarterpage 'Hunting the Giraffe' with text and a fullpage "Sorosis, 1869" Three illustrations on 'The Halsted Observatory at Princeton, New Jersey' and two quarterpage illustrations of the interior of the Astronomical Observatory at Washington.